*The Killimer-Tarbert car ferry crosses the Shannon Estuary between counties Clare and Limerick. It takes 20 minutes and saves 137 km (85 miles), or about 1 hours drive time from ferry terminal to ferry terminal.
" 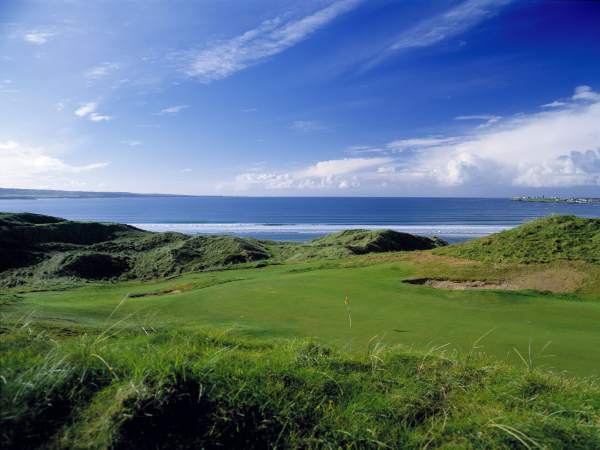 /> Lahinch Golf Club has undoubtedly one of the world's great classic links. 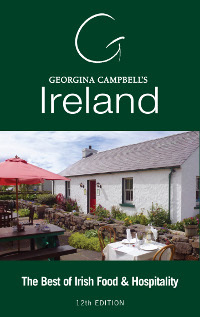 It has all the ingredients of greatness: a glorious setting, a rich history, superb natural terrain and, where man has 'intervened', it has been through the hand of an outstanding architect. It also has a pair of notorious blind holes, a ruined castle and goats that roam freely on the dunes. 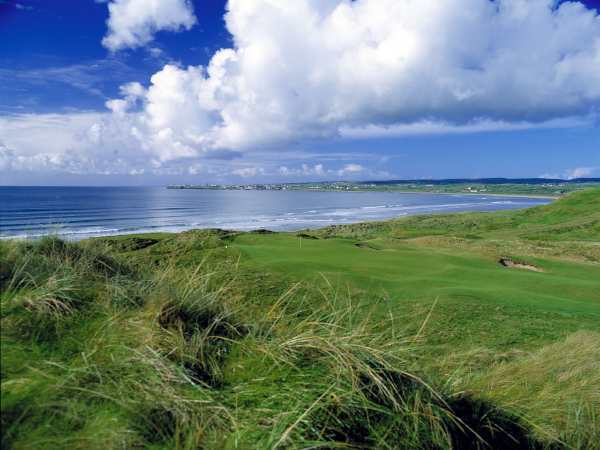 Lahinch Golf Club was founded in 1892 and the Old Course has benefited both from the natural characteristics of the terrain and from the genius of distinguished course architects. The original course was adjustedd by the renowned architect Old Tom Morris of St. Andrews in 1894; while in 1927 Dr. Alister Mackenzie - the designer of Cypress Point on the Monterey Peninsula and later co-creater of the legendary Augusta - was invited to make some changes to the links. Many of these changes were lost in 1935 due to changes being made at the members behest due to the difficulty of the three tier greens. In 1999, golf course architect Mr Martin Hawtree was engaged to remodel the Old Course with a view to restoring the characteristics designed by MacKenzie. The fifth and final phase of this restoration has now been completed, and Lahinch Golf Club is very proud of its restored MacKenzie Course. No one is complaining, certainly not the regular patrons who are delighted with the transformation Hawtree has wrought, particularly on the homeward journey where the 10th and 15th holes are now among the strongest par fours in golf.